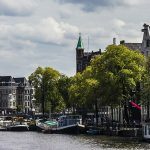 Visiting Amsterdam for a vacation? Are you visiting Amsterdam for a vacation or a business trip to Amsterdam, and bored with the ordinary places to stay? Then you should stay on a houseboat. A night in a floating home is truly a great adventure. In fact, the first encounter is overwhelming. The picturesque vicinity and cool breeze are breath-taking. Indeed, a houseboat is a home away from home. Staying in a hotel is rather boring. A boathouse will provide you with a cool atmosphere after the hassles of the noisy city life. Spending time with a loved one in such a rare abode will enhance the romantic experience. You also need to rest and experience privacy which a houseboat has plenty of. A boathouse is a unique modern resident just for you to enjoy. Every traveller wants to explore the world. For an exclusive vacation, Amsterdam houseboat rental will leave you longing for more. One can find houseboats all over Amsterdam making it the perfect place to stay when exploring all that this wonderful city has to offer. You may also prefer to visit renown museums or participate in bike riding in town. And as the icing on the cake, you will also enjoy a variety of activities besides the amazing houseboats. At ‘Book a houseboat’, a company based in Amsterdam, you will find a broad variety of floating homes. By staying on a houseboat, you will live like a local and enjoy the surroundings, as well as other great things to do. Think of swimming, hiking and cultural shows at reasonable prices. You can also access restaurants, supermarkets and other facilities within the surroundings. We do our best to make sure that our customers enjoy a one-of-a-kind vacation in Amsterdam. Is a houseboat more convenient? Why would you reside in a common hotel on a tour as is the norm? Rent a houseboat in Amsterdam. Luxury barges offer more than just accommodation – a therapeutic scenic view and a relaxed ambiance. All houseboats (both renovated freight ships and modern stationary houseboats) offer a feeling of home and are sure to make your stay a great one. Amsterdam houseboat rental are affordable and the best fit for your specifications. A boathouse is cheaper than a hotel: actually great value for your money. You will enjoy world-class hosting services and a learning experience to complement your leisure. The prices are pocket-friendly and at par with services delivered. Amsterdam is a heaven for recreation and tranquillity. Are you planning a business trip, a holiday for your family or an adventure with friends? I believe you want to have the best moments ever and a feel of a new life. Then search no more. No longer confine yourself to a hotel. Otherwise, you will limit yourself to the obvious phenomenon. Diversify your stay and have memorable times. Try a boathouse on the water. Rent a houseboat in Amsterdam for your upcoming holiday. You can be sure of a unique photo session in this exotic home. Book a houseboat and explore ultimate pleasure and serenity. One piece of good advice: book your houseboat well in advance to avoid disappointment, because there is limited availability of floating homes in Amsterdam.